Discussion in 'Downhill & Freeride' started by BIGHITR, Feb 26, 2008. Thanks to a new transmission, and four new motor mounts @ $3059 recently, my idea of some super nice DH rims went out the door. Currently I have brand new, came with the bike, Bontrager King Earl rims. I've read a post here on RM about a good ram into anything kind of rims that are cheap and several said, Bomber's. So I looked into Bombers. Cheap there are, yes. But am I upgrading to a Bomber, or downgrading from Bontrager King Earls? Reason I'm even questioning. I don't like carbon fiber. Some dude was bragging about his carbon fiber bike, I think it was a single pivot Mountain cycle, and he followed me and a buddy on a flat part, we all went over this log and when he went over last, we all heard a loud, CRACK! My buddy and me rode away while this dude got off his bike and was nervously looking all over his bike for the damage. 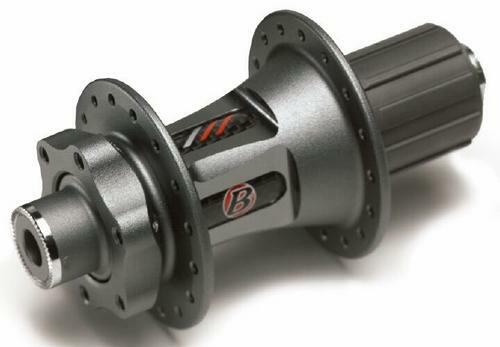 Here is the part carbon fiber bontrager hub. Considering I heard bad things about Manitou Dorado's carbon fiber castings cracking... I noticed my hubs on the King Earls are part carbon fiber. Now I'm not jumping cliffs on YouTube, but I don't want potential failure on ANY of my bike parts if I can avoid it. Am I upgrading to Bomber's or Downgrading in reference to a set of King Earl's? Both are the same width and spoke count I believe. It's just the carbon fiber hub that scares me. I have a set of bontrager earls. 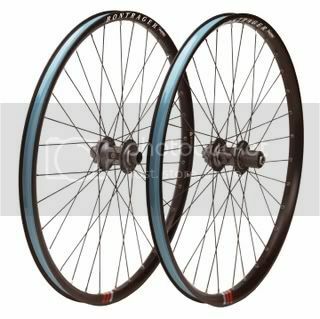 great wheelset, ive ridden them over 2 years never had any problems. I have the idea that the carbon is only cosmetic, not sure tough. But even if it is really structural carbon have you ever damaged that part of a hub? I didn't so it shouldn't be a problem in a crash or so. Ya man, Ive got the earls too, and love them. Super durable wheelset. Good stuff. The carbon looks, cosmetic, but you could always email Bontrager and ask them. Actually Bontrager's website actually does state specifically, "Carbon and Aluminum." So the hub IS carbon fiber in part for weight. It is aluminum with some of the center hub machined away and thinner, and a carbon insert. I'd be more worried about the small thinner middle aluminum cracking over time then having a total failure while riding. I was thinking Hadley hubs, and MTX but I got hit last month with 3 grand so I'm now looking sturdy and affordable. you must be high. carbon is much stronger than alu and a lot of other materials. if that carbon fiber is even real in your hubs, which it is most likely not it is definitely not structural or integral to your hubs strength and it blowing up. mtn cycle doesnt make a carbon fiber bike as far as i know btw and not that many dorado's has problems with the carbon fiber for the amount of them out there. ANYway, it appears no one has any Bombers. I've never ridden the Bombers, but I've been dirt jumping/slalom racing/super Ding my Bontrager Race X Lite tubeless XC wheel for 2 years now, and it's been great. Bontrager wheels are usually excellent. Thanks for the input. Sound like everyone is happy. I take it they are pretty much the same as the Bombers. No one is saying otherwise ergo it must be true.